These sprouted spelt rosemary cookies with chocolate chunks are an absolute must! 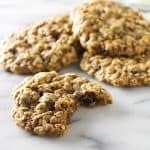 Sprouted spelt flour gives these cookies a deep, rustic flavor, the rosemary adds a magical twist and the flaked sea salt transports this cookie to the edge of paradise. 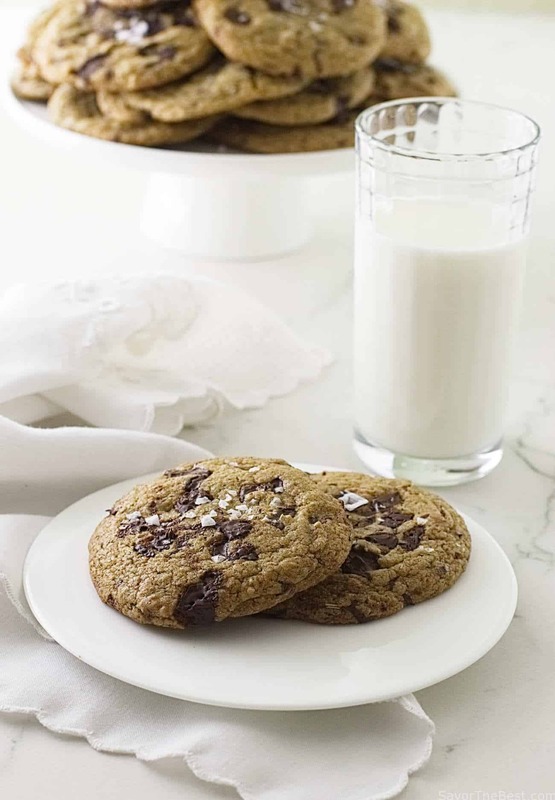 Probably every cook’s repertoire of cookies has a recipe for chocolate chip cookies that they love and bake often. There is a wide variety of recipes, some with nuts, white chocolate and even dried fruit but the all-time classic is the Toll House chocolate chip cookie recipe. We have taken the classic chocolate chip cookie to a new level with this chewy, flavorful cookie made with healthy sprouted spelt flour. 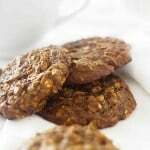 The whole-grain sprouted spelt flour contributes to the more dense, rustic and chewiness of the cookie. These cookies are fully-loaded with rich chocolate chunks in every bite and the fresh chopped rosemary is a delightful complimentary ingredient. 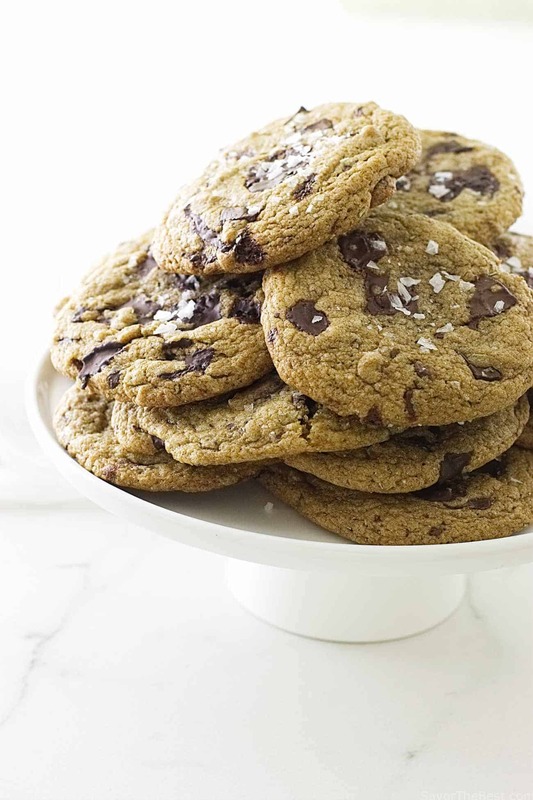 We sprinkled large flakes of Maldon sea salt on top of each cookie which balances well with the sweetness of the cookie. Sprouted spelt rosemary chocolate chunk cookies are made with sprouted spelt flour which gives the cookies a rustic, nutty flavor. The rosemary adds a magical twist and the flaked sea salt transports this cookie to the edge of paradise. Heat oven to 375°F and line a couple of baking sheets with parchment paper or spray with nonstick cooking spray. Combine butter, olive oil, brown sugar and sugar in a mixing bowl and beat until light and creamy. Add the vanilla extract then add the eggs one at a time, beating the mixture well. Add the sprouted spelt four, chopped rosemary, salt and baking soda to the mixing bowl. Give the dry ingredients a quick stir to blend the salt and baking soda into the flour then beat the flour mixture into the butter mixture until well incorporated. Stir in the chopped chocolate or chocolate chips. 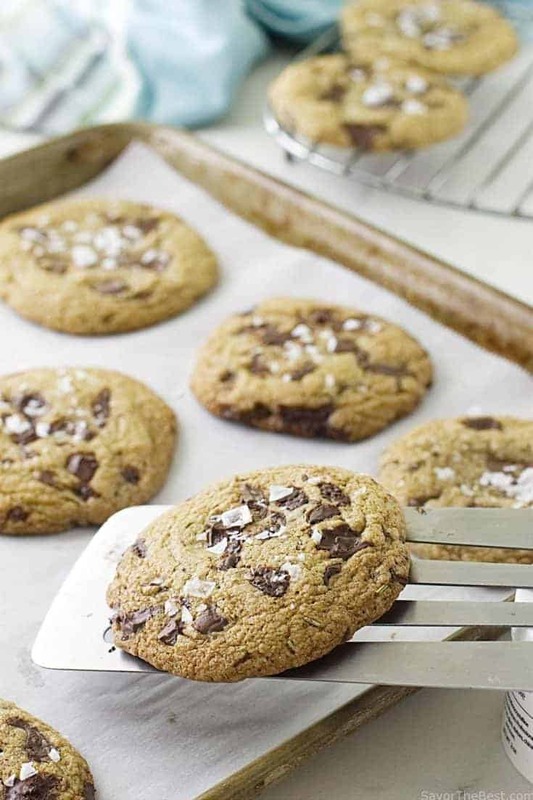 Scoop the cookie dough with a tablespoon or cookie scooper and drop onto the baking sheet. 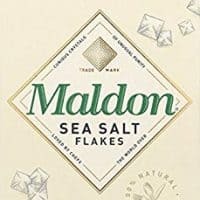 Sprinkle the tops of the cookie dough with Maldon sea salt flakes. Bake for 9 to 11 minutes until golden brown. Remove to a cooling rack and cool completely. Hello! 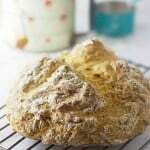 Would you expect this to work with sproyted wheat flour, or would the measurements be off? Wow rosemary in chocolate chip cookies! Now that’s different. They look amazing! This sounds like a creative and unique twist on the traditional chocolate chip cookie! These look so lovely! I especially love the salt topping. 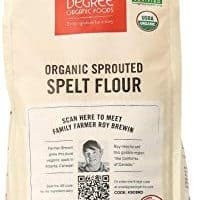 I’ve never used sprouted spelt flour. I bake with regular spelt flour often. What’s the difference in texture? Hey Nicole, there isn’t a difference in the texture but the flavor of sprouted spelt is more complex and sweeter. Rosemary, sea salt, and chocolate? Oh my, yes please! What tasty variation on a classic cookie, and with spelt too! I would have never thought to put rosemary in a cookie. Sounds like a great idea. And yes, that little touch of salt at the end takes the cookie to a whole new level of yum for sure!! Perfect for my latte break!! Nothing like a chocolate chip cookie! 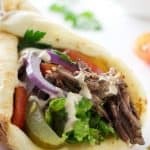 It brings back so many memories this recipe! Plus great work on the video! I have not dared to bake with sprouted spelt yet. After seeing your cookies I feel like trying it out soon. Especially because I am craving chocolate chip cookies right now and because they got over just earlier. 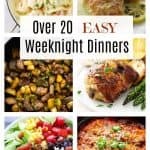 Cool idea to add rosemary! Ooh, rosemary cookies! They sound delicious! 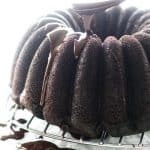 Do you know I have never used spelt flour yet! 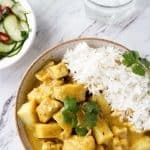 This recipe is going to give me the chance. I have to switch out a couple ingredients for non dairy and eggs but it will not change the goodness of these cookies. I can already tell. Thanks so much! I love baking with spelt flour. And I’m so intrigued by the rosemary. They look perfect. I’ve never baked with spelt flour. 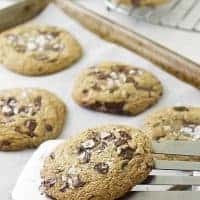 After looking at a healthier version of this classic cookie I need to pick up the ingredients when I go grocery shopping!